Cocaine with a street value of £50m has washed up on two Norfolk beaches. Around 360kg of the drug was found on Hopton beach, near Great Yarmoth, and across another section of the coast near Caister, the National Crime Agency (NCA) said. A member of the public contacted Norfolk Police after finding several different coloured holdalls containing packages of cocaine. The crime agency said the loss of the drugs would be a “major blow” to the criminals involved. 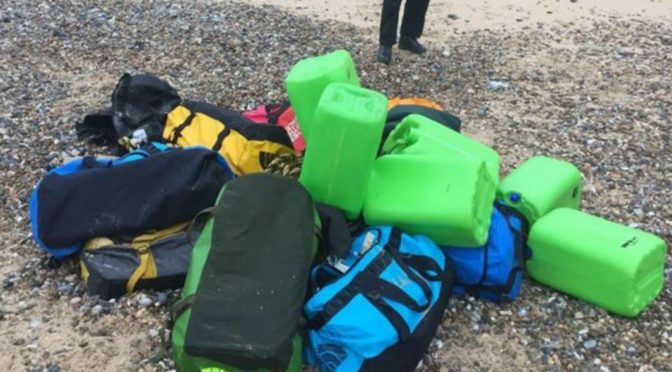 Matthew Rivers, from the NCA’s border investigation team, said: “We are now working with Border Force, the Coastguard Agency and Norfolk Police to try and establish how the bags ended up where they did, however it is extremely unlikely that this was their intended destination. Superintendent Dave Buckley, from Norfolk Constabulary, said: “We are assisting the National Crime Agency with their searches and whilst we believe we have recovered all the packages, should any member of the public find one they are urged to contact Norfolk Constabulary immediately on 101.